The Plumbline ? We’ll never measure up….but Jesus straightens us up. Woe To The Complacent – this is a warning to the complacent in Zion, those who feel too comfortable on Mt. Samaria, noteworthy, respectable people. They are told to go and visit Calneh, Hamath and Gath, and to see if their land is better, bigger. ‘You put off the evil day, and bring near a reign of terror’ – their life of luxury has blinded them to the dangers on their doorstep. They have spent too much time on their ivory beds and couches, fine dining, playing their harps and various other instruments, drinking and drinking fine wine, covering themselves in ‘the finest lotions’, paying no attention to the ‘ruin of Joseph’. The Lord Abhors The Pride Of Israel – The Lord makes an oath (in His own name) declaring that He abhors Jacob’s pride, detests his fortresses, and will deliver the city up to enemies, and everything within it. Not one person will be left in a house; everyone will perish, and the name of the Lord will not even be uttered through fear. claiming with pride that the conquering of Lo Debar and Karnaim was all down to their own strength. God will stir up a nation to rise against Israel, to oppress them all the way from Lebo Hamath to the Arabah. 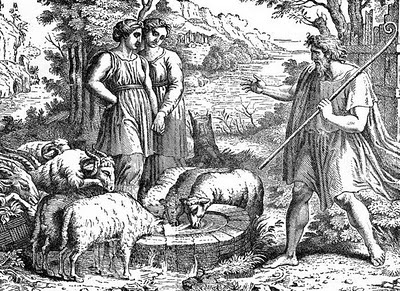 Locusts, Fire And A Plumb-Line – Amos tells how he was allowed to see that God was preparing a swarm of locusts to devour the second crop (after the first crop, which was always the king’s share – royal taxes). Amos could foresee the whole land stripped clean by the locusts, and cried out to God for Him to forgive and not punish little Jacob so harshly. ‘So the Lord relented’. The Lord planned to send a judgment-fire to dry up the waters, and devour the whole land. Amos cried out to God for Him to stop, for little Jacob could not possibly survive that. The Lord relented, and said it wouldn’t now happen. The Lord showed Amos a plumbline, and a wall that had been built true to plumb. God used this visual to tell Amos, ‘I am setting a plumb-line among my people Israel – I will spare them no longer’. Israel was being judged to be like a dangerously leaning wall. God announces that Isaac’s high places will be destroyed, Isaac’s sanctuaries ruined, and a sword will be raised up against Jeroboam. Amos And Amaziah – So now, Amaziah, the priest of Bethel, rises up against Amos, sending a message to Jeroboam, king of Israel, stating that Amos is conspiring against Israel and the king, quoting Amos’s words about Jeroboam facing death by the sword and all Israel being exiled. Amaziah confronts Amos directly, telling him to get back to Judah, and practise his ‘profession’ there (a paid prophet). He tells him to leave Bethel, the king’s sanctuary and temple. – all Israel will be exiled, taken away from their native land. Abraham – Paul reiterates that the promise came to Abraham, not as a result of his keeping the law, but because of his faith. ‘Abraham is the father of all’ (of those who are ‘of the law’, but also of those who ‘are of the faith of Abraham’). He is indeed the Father of many nations. ‘Against all hope, Abraham in hope believed and so became the father of many nations’ – the promise of a child in their old age seemed hopeless, yet Abraham believed in a God who ‘gives life to the dead’ and who ‘calls things that are not as though they were’ (i.e. creating things from nothing, making things exist). Against all the odds, ‘he did not waver through unbelief regarding the promise of God, but was strengthened in his faith and gave glory to God, being fully persuaded that God had power to do what He had promised’. Abraham’s faith in God grew, rather than diminished, as he waited for this unlikely promise to be fulfilled. It is this very faith which is credited to Abraham as righteousness, and is an everlasting sign or example for us ‘who believe in Him who raised Jesus our Lord from the dead’. Jesus died for our sins, and was raised to life so that we may know true forgiveness (justification), our sins dealt with, our life set free. ‘You see, at the just the right time, when we were still powerless, Christ died for the ungodly….God demonstrates His own love for us in this : While we were still sinners, Christ died for us.’ – the glory of the gospel, eh! The blood of Jesus has dealt with our sin, and so we have no fear of the coming judgment. The death of Jesus has reconciled us to God, and so we can be sure we are saved though His life. ‘We rejoice in God through our Lord Jesus Christ, through whom we have now received reconciliation’. I will bring glory to Your name for ever and ever. For Your love towards me is very great; You have saved me from the punishment of death itself. The ruthlessness of those who pay You no thought. Take a look at my life, once again, Lord. Show me mercy, grant me strength, save me. and my enemies may know You and be covered in shame. My Lord, my God, You are my helper. or the devouring fire will sweep through the house of Joseph. The Lord sets himself as the creator of all, with the power to turn day into night, who summons the waters of the sea, who can destroy strongholds, against the people of Israel, who have turned justice into bitterness, chucked their righteousness in the gutter, and who have despises those who speak the truth. God is angered by their trampling of the poor, so God says they will no longer live in their posh stone mansions, and they will not drink the fantastic wine produced by their lush vineyards. They are to turn from loving evil, to rather hate evil and to love good. Then the Lord God Almighty may show mercy on the remnant of Joseph. The offerings they bring are unacceptable to God, their songs are just noise to Him, because of the unrighteous, unholy lives. Rather than remember God’s faithfulness, and celebrate continually the deliverance God brought Israel (through the wilderness, from Egypt), they have built altars to false gods, raised up ‘the shrine of your king’. God will send them into exile. (‘as successive prophets spoke, it became clear that there would be a whole series of ‘days’ when God’s judgment and intervention would be seen. Such ‘day’s’ included the fall of Jerusalem, the return from exile, the coming of Christ, and the giving of the Holy Spirit. Each of these leads us closer to the final day when all things will be consummated (2 Thess. 1 v. 9, 10) – The Wesley Study Bible). Abraham Is Justified By Faith – Paul goes right back to Abraham to back up his argument. He quotes ‘Abraham believed God, and it was credited to him as righteousness’ (from Gen. 15 v. 6). The argument is that if a man earns his wages, then they can’t be seen as gift, but obligation. If, however, it’s not through works, but through trust, then ‘his faith is credited as righteousness’. Paul also quotes Psalm 32, to show that David too knew how blessed he was to know the gracious forgiveness of sin (rather than by any works). And to add weight to the argument that God favours neither the circumcised or uncircumcised, Abraham had righteousness credited to him BEFORE he was circumcised. He is also the father of all who are circumcised, but ‘who walk in the footsteps of the faith’ Abraham exercised pre-circumcision. Not through law, but through faith-righteousness, was it that Abraham received the promise to become heir of the world. ‘Where there is no law, there is no transgression’; again, the law points out the sin, but does not provide the antidote. It is by faith, and faith in Christ alone…. Witnesses Summoned Against Israel – This is ‘the word the Lord has spoken against you…the whole family’ of Israel. – ‘Surely the Sovereign Lord does nothing without revealing His plan to His servant the prophets’. The lion has roared…who can prophesy? Israel Has Not Returned to God – God calls the cows of Bashan to hear His word (be His witness) – literally he calls the women who oppress the poor and crush the needy, greedy cows. ‘THE LORD ALMIGHTY IS HIS NAME’. God seeks to remind them of His power and ability, compared to the false Canaanite gods they worshipped in vain, and they are about to meet their maker !! Paul quotes from the Old Testament (mainly from the Psalms, Proverbs and Ecclesiastes) to show that no-one can work their way into a right relationship with God, even by seeking to fulfil the law. Paul contends that the law exists to ‘make us conscious of sin’, but not to make us righteous. The law identifies the problem, but doesn’t provide the solution. 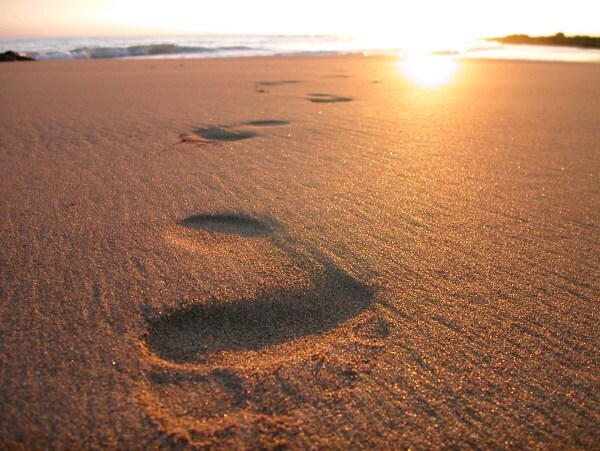 Righteousness Through Faith – ‘but now a righteousness from God, apart from the law, has been made known’ – through the death and resurrection of Jesus. We are made right with God ‘through faith in Jesus Christ, to all who believe’. 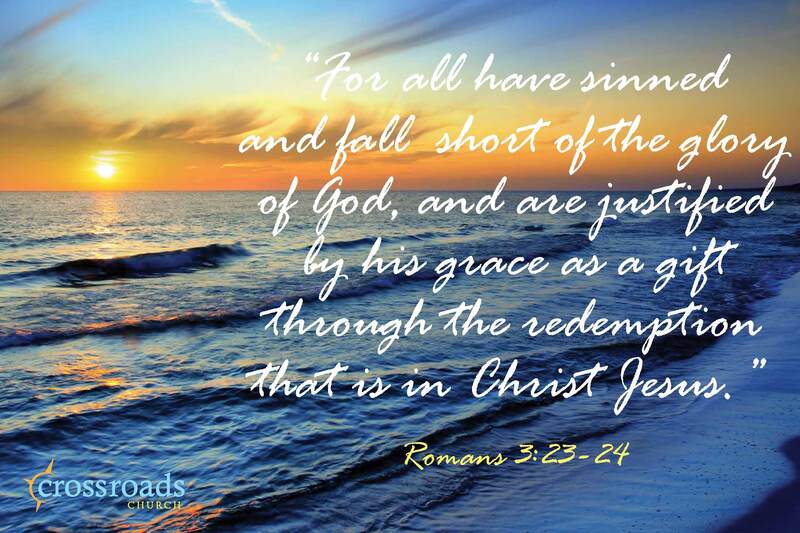 ‘For all have sinned and fall short of the glory of God, and are justified freely by His grace through the redemption that came by Christ Jesus’. Jesus is an atoning sacrifice for our sins (‘through faith in His blood’). This is a demonstration of God’s justice, ‘so as to be just and the one who justifies those who have faith in Jesus’. 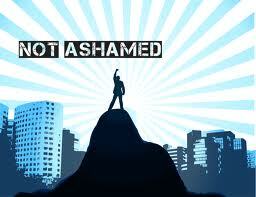 None of us can boast then…not by our observing the law…it’s only by faith in Jesus. God is the God of the Jews and the Gentiles alike. Both circumcised and uncircumcised will be justified through the same faith. But this is no reason to nullify the law; rather, every urgency is encouraged to ‘uphold the law’. and Your glory will inhabit our nation, our land. right-living and peace should be bound as close as a kiss. that our land will prosper. preparing Your path, Your way. * Amos is generally considered to be the earliest of the writing prophets…preaching to the Northern Kingdom in the 8th century BC, when Jeroboam II was ruling. Introduction – Amos introduces himself as a shepherd from Tekoa (in Judah, southern kingdom, 12 miles south of Jerusalem), and claims he ‘saw’ things concerning Israel ‘two years before the earthquake’. Judgment on Israel’s Neighbours – Damascus (capital of Syria) gets the first blast, for its several sins (including threshing Gilead with iron-toothed sledges); God will send fire to consume fortresses, break down gates, and destroy the king. Then Gaza gets it (the main city in Philistia), for taking captive whole communities, God will send fire to consume fortresses, and destroy the king, and all the Philistines. Then Tyre (leading Phoenecian city) comes under God’s scrutiny, for selling people into slavery, God will send fire to devour the palaces. Then Edom (south of Judah), condemned for its anger, and brutal sword-attacks, ‘stifling all compassion’, God will send fire to consume its fortresses. Then Ammon (east of the Jordan), for its inhumanity to Gilead, God will send fire to consume fortresses, and send her king and officials into exile. Then Moab (east of Jordan, south of Ammon), for burning Edom’s king’s bones (considered sacred), God will send fire to consume fortresses, and her rulers and officials will be killed. Then Judah, for having rejected the law of the Lord, turning from His decrees, led astray by false gods, God will send fire to consume Jerusalem’s fortresses. What’s the point of being circumcised if you only go on to break the law? Paul is beginning to expound the difference between the life which is ‘by the Spirit’ and the life which is ‘by the written code’ alone. God’s Faithfulness – What advantage, then, in being a Jew, or being circumcised? Well, firstly, in ‘having been entrusted with the very words of God’. And a lack of faith does not nullify God’s faithfulness towards us. Our unrighteousness cannot be used to condemn God as unrighteous. Neither can we justify living unrighteously by saying it enhances God’s faithfulness – there are no ‘good’ motives for practising what God has judged to be ‘evil’. If a man pays back evil with good, evil will never leave his house. Jonah Flees From the Lord – God calls Jonah to go to Ninevah to preach. Jonah runs away, headed in the opposite direction, boarding a ship at Joppa bound for Tarshish. 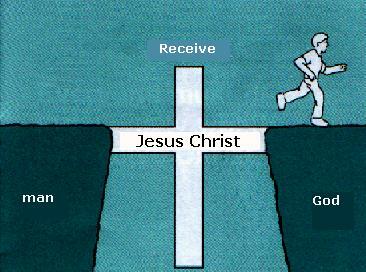 He pays his way to flee from God’s call. God sends a violent storm which could easily have destroyed that ship. Everyone on board cried out ‘to his own god’, and cargo was thrown overboard to ease the burden on the ship. Jonah, meanwhile, is fast asleep below deck. The captain wakens him and urges him to pray to his god. ‘Maybe he will take notice of us, and we will not perish’. When the sailors cast lots, Jonah is ‘chosen’ as the one responsible for their perilous situation. They ask him to tell them who he is and where he’s from. ‘I am a Hebrew, and I worship the Lord, the God of heaven, who made the sea and the land’. They know he’s running away from God, so they ask what they should do to make the sea calm down. Jonah suggests they throw him overboard. At first, the sailors ignored him, and tried to sail back to shore. In the end, they throw Jonah overboard, praying that the Lord does not hold them accountable for ‘killing an innocent man’. As soon as they threw him overboard, the ‘raging sea grew calm’. The sailors are in awe and sacrifice to the Lord. There’s a similar story of Jesus asleep on a boat in the middle of a fierce storm – when the disciples wake Him, He commands the wind and the waves to ‘be quiet’, and the storm ceases. Same outcome, in that the storm ceased, but different outcomes for Jonah / Jesus ! I think God had heard enough by now, and commanded the fish to vomit Jonah onto dry land. Yeuch !!! 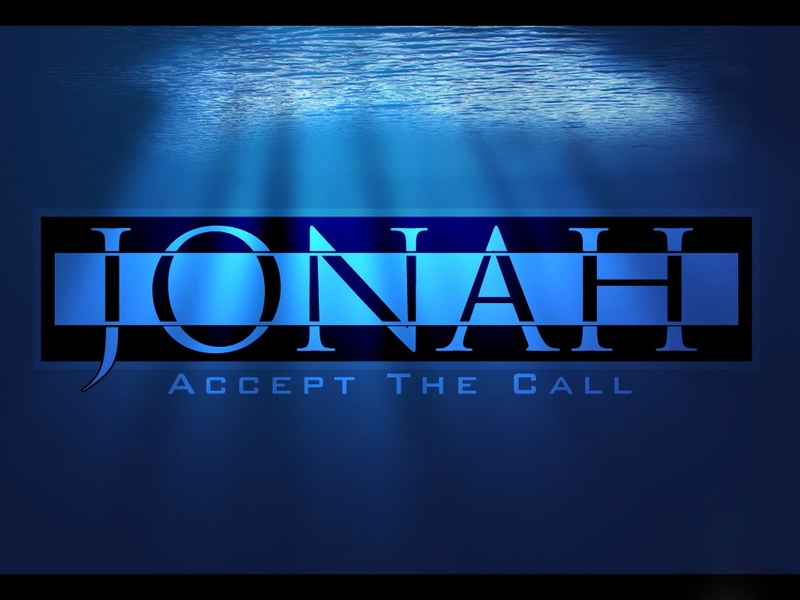 Jonah Goes to Ninevah – Jonah hears God call him a second time to go to Ninevah (the call remains the same – Jonah has a second chance to respond!). This time, Jonah obeys and goes to Ninevah. It was a significant city to visit – a three day visit might just get you round everything / everyone in Ninevah. DAY ONE : Jonah went into the city and told them what God had said – forty days and then Ninevah will be destroyed. ‘The Ninevites believed God. They declared a fast, and all of them…put on sackcloth’. Even the king took off his robes, covered himself with sackcloth and sat in the dust, and he sent out a proclamation throughout Ninevah, urging a fast, and repentance (sackcloth etc.). So, God did show compassion, when the people turned from their wicked ways, and Ninevah was spared the destruction which had been threatened. ~ this is just what I feared You would do, God ! ~ I fled to Tarshish because I knew You would relent and not send calamity on Ninevah. ~ ‘I knew that You are a gracious and compassionate God, slow to anger and abounding in love’. ~ I’d rather die than live to see Ninevah spared…. God questions Jonah’s ‘right to be angry’, but Jonah goes out of the city and has a major sulk, sitting under a shelter he put together. God provided a vine, which grew up over Jonah, offering him shade. ‘Jonah was very happy about the vine’; however, in the morning God provided a worm which caused the vine to wither, and the sun beat down on Jonah. Jonah repeats his request to God that it would be preferable to die. God questions Jonah’s ‘right to be angry’ about the vine. Jonah says he absolutely does have the right to be angry enough to die! God is keen to teach Jonah compassion…He is keen to do the same for us, too…to see things as God does, to live with His perspective. God’s Righteous Judgment – Judging others is akin to judging ourselves, since all are guilty of sin, whereas God’s judgement is based on truth. People are stubborn and have unrepentant hearts (v.5), and therefore store up God’s wrath and judgement. and God does not show favouritism when it comes to Jew or Gentile – all will get what their life on earth deserves. ‘It is not those who hear the law who are righteous in God’s sight, but those who obey the law who will be declared righteous’. 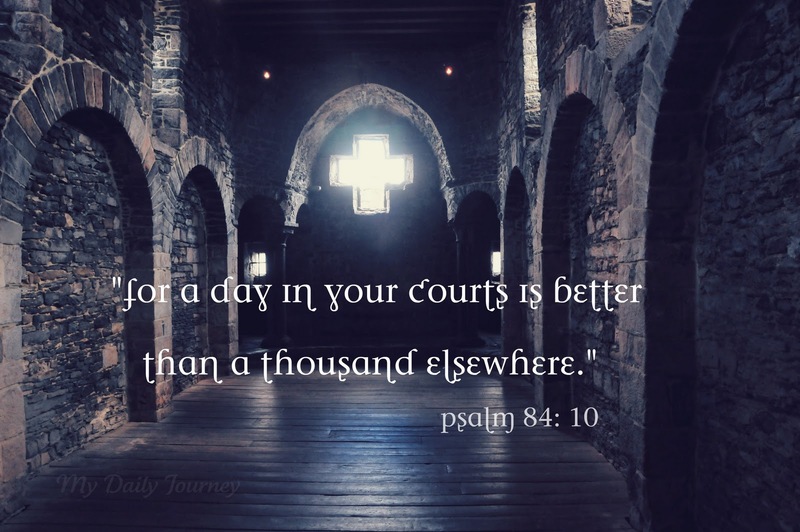 Paul reminds his readers that there will be a judgement day – ‘when God will judge men’s secrets through Jesus Christ…‘. Paul is building up his argument that trying to live by the law is ultimately fruitless, unless we have the righteousness through Jesus Christ. bring Jacob’s land back to its former glory. Forgiving Your people, You have dealt with their sin. You subdued Your anger, turned from Your wrath. My Lord, my God, our Saviour, build us up again. to restore all that we have lost. so that we may for ever rejoice in You. Make us aware, once again, of Your unfailing love. Rescue us, save us, renew us. The End of the Kings ! Nebuchadnezzar’s officers laid siege to Jerusalem, the king himself coming up to the city for the fight. King Jehoiachin and all his officials (and his mother) surrendered to Nebuchadnezzar. Nebuchadnezzar was in his eighth year as king, and he did as had been prophesied – he took all the treasures from the temple and the palace, all the gold which originated from Solomon’s reign. All Jerusalem was carried into exile – 10,000 people. ‘Only the poorest of the people were left’. Jehoiachin was taken captive to Babylon, with his mother and his wives, and officials. Nebuchadnezzar put Jehoiachin’s uncle Mattaniah in charge of Jerusalem as king, changing his name to Zedekiah. The Fall of Jerusalem – Zedekiah rebels against Babylon, so king Nebuchanezzar of Babylon marches against Jerusalem, encamping outside the city and besieging it, for around two years (from 9th to 11th year of Zedekiah’s reign). The city experienced a great famine. The army inside the city break the wall (near the king’s garden) and flee towards the Arabah. The Babylonian army pursue them, overtaking them in the Jordan plains. King Zedekiah is captured and is taken to Nebuchadnezzar at Riblah. Zedekiah’s sons are killed, and his own eyes are gouged out, and he is taken captive to Babylon. ‘On the seventh day of the fifth month in the nineteenth year of Nebuchadnezzar’s reign in Babylon’, the king’s commander, Nebuzaradan entered Jerusalem. He burned down the temple, the palace and every house in Jerusalem. The walls around Jerusalem were torn down. Most of the people left were taken into exile, except a few of the poorest people ‘to work the vineyards and fields’. The bronze from the temple (pillars, stands and Sea) is broken up and taken to Babylon, as well as all the artifacts, gold, silver, pottery. The bronze weighed a huge amount (‘more than could be weighed’), and represented all that Solomon had invested in this temple. The chief priest – Seraiah – and the next in rank – Zephaniah – and the doorkeepers were taken as prisoners. Various other officials who had remained in Jerusalem were taken captive too. Once in Babylon, Nebuchadnezzar had them executed. ‘So Judah went into captivity, away from her land’. Seven months in, however, Ishmael (‘who was of royal blood’) rose up and killed Gedaliah, and the Judeans and Babylonians who were with him. Then they fled to Egypt for fear of the Babylonians. So at the end of the period of the ‘kings’, the people of God who had been rescued from Egypt, find themselves fleeing to Egypt, vacating the promised land. Sad reversal of all that God had promised and provided. Jehoiachin Released – Remember Jehoiachin ? He had surrendered to Nebuchadnezzar in chapter 24. Well, 37 years later, when Evil-Merodach (Nebuchadnezzar’s son) became king of Babylon, Jehoiachin is released. He is spoken kindly to and given a seat of honour ‘higher than those of the other kings who were with him in Babylon’. God’s Wrath Against Mankind – Paul contends that you only have to look around you to see that God is angry with the ‘godlessness and wickedness of men who suppress the truth’. ‘For since the creation of the world God’s invisible qualities – His eternal power and divine nature – have been clearly seen, being understood from what has been made, so that men are without excuse’. He contends that God is easily ‘known’, yet never glorified or thanked by these foolish souls, who even substitute the glory of God for the folly of images of men, birds, animals and reptiles. Left to their own devices, then, God watches as sexual sins, lies and false worship take them over; women and men give in to ‘shameful lusts’; women with women, men with men. Their minds, also, wandered into perversions – ‘evil, greed and depravity…envy, murder, strife, deceit and malice…gossips, slanderers, God-haters, insolent, arrogant and boastful…disobeying parents…senseless, faithless, heartless, ruthless’ (wow, that’s quite a depressing list !!). Paul argues that though people know these things are wrong, they are done, nonetheless, and those who do them are applauded ! I find it worth pondering just how easily ‘knowable’ God is – there is the promise that all who seek Him will find Him – but how true is it that since the beginning ‘God’s invisible qualities have been clearly seen’. Easy to say with the eyes of faith. It is easy, though, for me to see how depraved human nature can become ‘left to its own devices’. In that sense, God leaves humanity to its own end…..or does He? Roll on the Incarnation, Emmanuel : GOD WITH US ! Listen to my words, God of Jacob. upon Your chosen, anointed one. than one thousand anywhere else. than abide in the tents of evil people. You are my sun and shield, brightness and defense. Showering Your goodness upon all who walk in Your ways, faultless in Your sight. Josiah Renews the Covenant – the king calls all the elders of Judah and Jerusalem together at the temple – the least and the greatest gathered there. 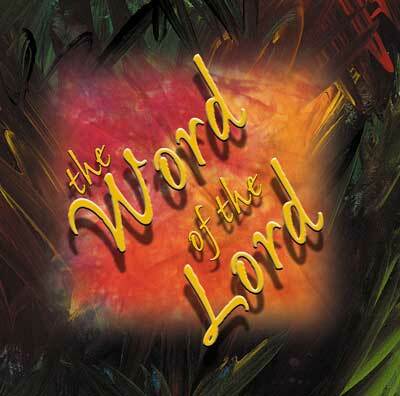 The words of the Book of the Covenant are read to all the people. The priests are ordered to remove the Baal and Asherah articles from the temple, and to burn them in the Kidron Valley (outside Jerusalem). The pagan priests are ‘done away with’; the quarters of the male shrine prostitutes are torn down. Josiah arranged for all the high places to be desecrated, breaking down shrines at the gates (incl. Joshua gate). He desecrated Topheth, so ‘no-one could sacrifice his son or daughter in the fire to Molech’. ‘He removed from the entrance to the temple of the Lord the horses that the kings of Judah had dedicated to the sun’. Chariots dedicated to the sun are burned; altars built to other gods, within the temple, are pulled down and thrown into the Kidron Valley. Many high places, sacred stones and Asherah poles were destroyed. The altar at Bethel, also, is destroyed. Tombs on the hillside at Bethel had the bones removed, and the altar is desecrated by having those bones burned on it – all except the tombs of the ‘man of God who came from Judah and pronounced against the altar of Bethel…‘ and the prophet from Samaria – their tombs were left untouched. Also, the high places in the towns of Samaria were removed and defiled. Priests were slaughtered and human bones were burned on the shrine altars. After all this cleasing, Josiah returned to Jerusalem and called for the Passover to be celebrated (it had been a long time since the nation had celebrated Passover – not since the judges had ruled over the nation). Josiah got rid of mediums, spiritists, household gods, idols etc. throughout Judah and Jerusalem. All Josiah’s deeds are recorded in the annals of the kings of Judah. In one episode, Josiah stood against the armies of Assyria and Egypt who had joined forces. Josiah was killed by Pharaoh Neco at Megiddo, and his body was taken to Jerusalem, to his own tomb. Josiah’s son, Jehoahaz, is anointed as the new king. Jehoahaz King of Judah – Jehoahaz becomes king when he is 23 years old. He reigns for just three months. He ‘did evil in the eyes of the Lord’. He was put in chains by Pharaoh Neco, and a tax levy was placed on Judah (100 talents of silver, one of gold). In his place, Pharaoh Neco made Eliakim (Josiah’s son) the new king. Eliakim’s name is changed to Jehoiakim, and he pays the levy by imposing a tax on the land, taking the money from the people of Judah. Jehoiakim King of Judah – At twenty-five years old, Jehoiakim becomes king, and he reigns for eleven years. He is the son of Zebidah, from Rumah. Jehoiakim also does evil in the eyes of the Lord. During his reign, Babylonian king Nebuchadnezzar attacks the land and for three years Jehoiakim becomes his vassal; then he turns against Nebuchadnezzar, and finds himself fighting against Babylonians, Arameans, Moabites and Ammonites, who were all seeking to destroy Judah, in accordance with prophetic words which had been spoken. All this is seen to be the result of Manasseh’s disobedience – shedding innocent blood….‘and the Lord was not willing to forgive’. Jehoiakim’s deeds are all written in the annals of the kings of Judah. He dies and is buried along with his fathers; his son, Jehoiachin succeeds him. Egypt no longer encroached on Judaean territory, as the Babylonians had themselves taken it. Introduction – It’s always fascinating to hear how someone introduces themselves. the faith of the Roman Christians is reported to Paul, and ‘all over the world’, so Paul gives thanks. As Paul serves God ‘with his whole heart’, preaching, and remembering in prayer ‘at all times’ the Roman Christians, he expresses his longing to visit them. His desire to see them is to impart ‘some spiritual gift to make you strong’ – a gift of encouragement (lit. ‘to strengthen one another’), in sharing faith together. Paul senses that he has been prevented from making that journey to see them, many times, as he longs to have a ‘harvest among you, just as I have had among other Gentiles’. Paul has a calling to both Greeks and non-Greeks; wise and foolish. A righteousness which begins and ends by faith (first to last). Musical director’s notes : to be played on the gittith. A song from Korah’s sons. ‘The place where You abide, my Lord, my God, is beautiful. My whole being longs to be within its walls. who seek t0 journey with You. Pilgrims through barren valleys, bringing springwater, autumnal rains. Onwards and upwards, not losing, but gaining strength with every step.